Superstition Shadows in Apache Junction is a concrete flow style park. It has snake run style bowls with hips, banks, and steel coping, a vert wall, and more. The bark blends street and vert styles. There are ledges, rails, and even a launch on the outer edges that flow into the banked runs. 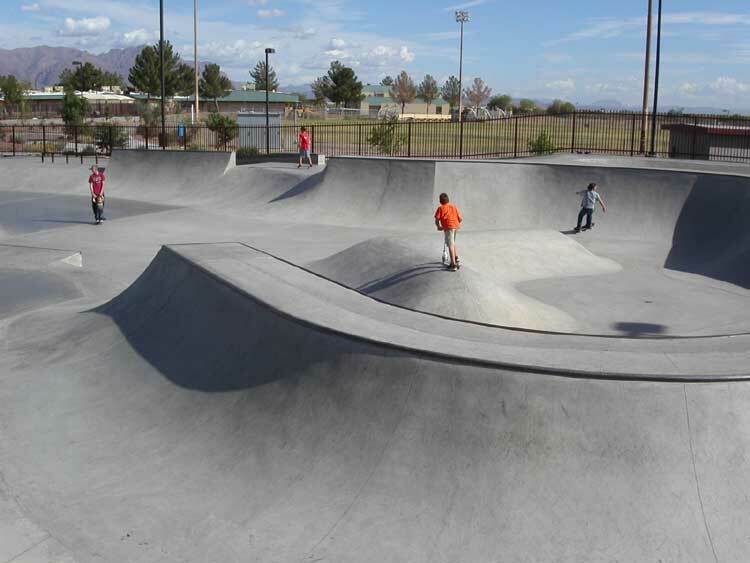 Another awesome skate park in Arizona. Address 1091 W. Southern Ave.